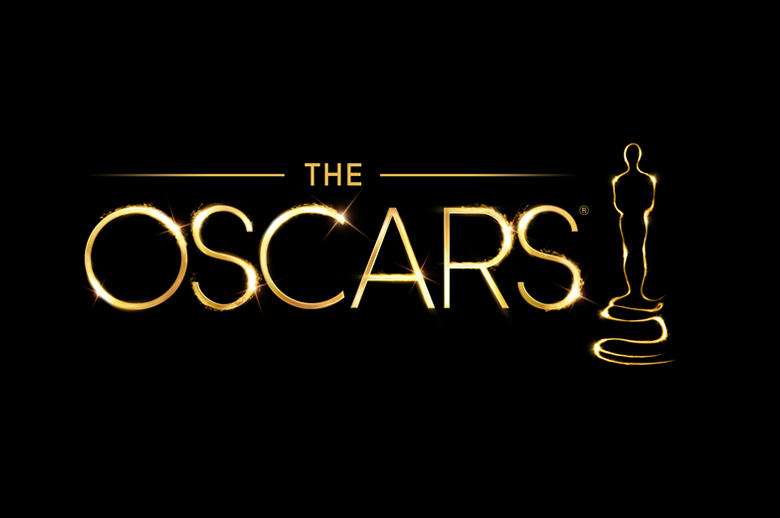 Controversially, for the second year running, all 20 of the acting nominees are white, leading to the #OscarsSoWhite hashtag trending throughout social media. Some have elected to even boycott the ceremony in response to this snub. While there were opportunities for the Academy to nominate some incredible performances from some talented black actors and directors, the problem is more to do with Hollywood itself rather than the Academy. It is important that the Academy is taking measures to do something about this, because it is a problem, and one that you would hope we don’t see again when it comes to the 89th Academy Awards in 12 months time. Anyhow, tonight will be the night that the all the hard work of all the actors, directors, composers, cinematographers, costume designers, sound editors, visual effects will be recognised, but of course there can only be one winner in this category, and so I give you my hopes and predictions for this year’s awards, as well as some of those who I feel could have been nominated. Let’s get started! 5 remarkable performances from all here, and perhaps the most open category of all the acting nominations, Stallone and Rylance have both been claiming the honours throughout awards season, so one would think it’s between them. Tom Hardy was a massive surprise nod, given he did not at all feature in any of the awards shows previously, but his inclusion is well deserved, whilst Mark Ruffalo’s turn in the journalism drama Spotlight was heart-wrenching to watch, but very powerful and arguably a career best work from him. I would like to see Ruffalo triumph but I think this one is Sly’s for the taking. Another very open category, and again a good batch of performances. Kate Winslet has been taking some of the awards for her work in Steve Jobs, but Alicia Vikander and Rooney Mara have received wide praise for their work in The Danish Girl and Carol respectively, but some have argued that these ladies should be in the lead actress categories, while Vikander should arguably be nominated for her magnificent work in Ex Machina. While Jennifer Jason Leigh’s work in The Hateful Eight was also excellent, and was one of the standouts in a very well acted film. It’s going to be a very tight contest. This category is not the strongest it could be, Quentin Tarantino’s work on The Hateful Eight is a notable absentee from this list, and while I immensely enjoyed his work, it was not his finest writing not by a long shot. The clear favourite among this year’s crop is Spotlight, a movie that was driven by dialogue that was just enthralling to watch, and really made you think when the credits began to roll, it’s odds on and one would have few complaints should it emerge victorious. That said, Ex Machina was also insanely gripping, while Inside Out, as well as being my favourite movie of 2015, could arguably lay claim to be Pixar’s finest work. Nevertheless, this is Spotlight’s to lose. A category that is much stronger than its counterpart. The Big Short has been taking many awards in this awards season, and while it was funny it places, I really feel it fell flat in places as it just overloaded the audience with too much economical mumbo jumbo that unless they were well versed in the subject, it would sail over their heads. Emma Donoghue’s Room was a dark but uplifting tale, while Drew Goddard made one man’s solitude on Mars, a lot funnier than it could and maybe should have been. The Big Short is definitely the favourite though. This seems to be a two horse race between Inside Out and Anomalisa, which is yet to reach UK shores, but has received a lot of praise. However I cannot see anything dethroning Pixar’s work of utter genius. As much as I enjoyed John Williams’s score for our return to a far away galaxy, Ennio Morricone’s work on The Hateful Eight was incredible and will probably take home the award. The editing in The Big Short really bugged me and is one of my main gripes about the film, its editing is scrappy and made to look almost like a documentary, whereas it just looked really scrappy. The editing in Mad Max was crisp, likewise with the Force Awakens, so I would like to see either of those two win, although Big Short is the favourite, undeservedly so in my opinion. Despite an incredible 13 nominations and not a single win, Roger Deakins is one of the finest cinematographers working today. Yet I cannot see anything usurping Emmanuel Chivo Lubezki from claiming a hatrick of Oscar wins, and it would be well deserved as The Revenant is visually breath-taking with every single shot, although a win for Deakins would be well deserved. Last year’s in this category, Mr Iñárritu is looking good to win again for his terrific work on the Revenant, and his main competitor is probably George Miller. The Australian showed how to film and direct an action movie, and he did it without a shaky camera in sight. Lenny Abrahamson’s work in Room was also quite an acheivement to be fair, A win for one of those three would be more than a fair decision but I think Alejandro Iñárritu will do the double. While she remains one of my favourite actresses, and her performance was the bright spark, Jennifer Lawrence does not deserve to be the one clutching the statue this time around, and for me is fortunate to be nominated at all. Cate Blanchett did do some amazing work in Carol, but it would be a major shock if Brie Larson doesn’t triumph. Her work in Room was heartbreaking to watch, but she gave a terrific performance that is absolutely deserving of an award. However, two ladies I do think deserved nods here are Charlize Theron and Daisy Ridley. The former outshone Tom Hardy in Mad Max, while Ridley delivered a superb breakthrough performance in the year’s biggest movie. She stole the show and even though it’s a blockbuster, she deserved it. Even if they had both been nominated, this is Larson’s trophy. With ten slots open I don’t understand why the Academy chose to nominate only eight as there were more than enough good films to give the final two slots to. And while I feel that the majority of these movies do deserve to be up for this award, The Big Short is for me extremely fortunate to be up there. Nevertheless, out of those scrapping for the honour, the three top contenders in my eyes, are The Revenant, Spotlight and Mad Max Fury Road. While Mad Max did fall a bit short for me in terms of its script (weak villain mainly) it was an enthralling time and impressive given its long spell in development hell. The Revenant has got its BAFTA triumph going for it but Spotlight has been taking some crowns along the way too, so it’s an open race. Any of the three would be deserving winners but I have a sneaking suspicion that The Revenant will take the top prize, but Mad Max or Spotlight may yet sneak a win. Whatever happens, the movie world should be in for a fun and enjoyable evening!